Searching for a Top Rated Misdemeanor Lawyer in Troy, Michigan? 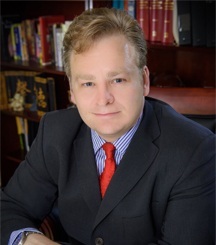 Troy Michigan attorney Daniel Hilf has a well established reputation in the legal community for providing a diligent, aggressive defense for persons charged with misdemeanor offenses by the city of Troy, Oakland County Prosecutor's Office, or the Michigan Attorney General's office. Misdemeanor and felony criminal offenses have a huge personal cost, upon conviction, that in many instances deprives an individual of their freedom, educational opportunities, and good employment. When you become aware of a criminal charge in Troy Michigan, it is important to find respected local defense counsel who can offer straight forward legal advice and professional legal representation. Although misdemeanors are thought of by many as low severity criminal offenses for violations of State laws and local ordinances, a misdemeanor conviction carries big personal consequences. The most commonly charged misdemeanor offenses in Troy include: retail fraud (retail fraud second degree and retail fraud third degree), domestic violence, assault and battery, aggravated assault, driving while license suspended, revoked, or denied (DWLS), drunk driving (OWI/DWI, OWI/DWI 2nd Offense, super drunk), disorderly person, reckless driving, and leaving the scene of a property damage accident. For misdemeanor offenses that are alleged to occur in the cities of Troy and Clawson, Court proceedings are scheduled at the 52/3 District Court, which is located at 520 W. Big Beaver Road in the city of Troy, MI 48084. For most misdemeanor charges in Troy Michigan the maximum allowable penalty from either of the 2 Judges is anywhere from 90 days in jail to 1 year in the Oakland County Jail. Most misdemeanor offenses do not have minimum sentences, which means that your Judge is not required by law to impose a jail sentence. However, for a misdemeanor conviction the Judge always has the power to order you into custody. In addition to potential incarceration, a misdemeanor conviction at the 52/4 District Court allows your assigned Judge to place you on a period of probation, which is a form of court ordered supervision to monitor you to make sure you exactly follow all the conditions of the Judge's sentence. Probation can include a large number of unpleasant conditions that are designed to either make your life unpleasant or to rehabilitate you, including: reporting to a probation officer; alcohol testing; drug testing; not going to liquor stores or bars; payment of fines/costs/restitution/fees; professional counseling (mental health, domestic violence, substance abuse, anger management, etc. ); take prescribed mental health medicines; prohibition on taking some legally prescribed medications (medical marijuana, some prescription medicines, etc. ); perform many hours of community service; no contact with victims, co-Defendants, or other individuals; inability of returning to certain locations (including your home if the victim lives there); tether, etc. Failure to strictly and precisely follow the Judge's ordered probationary conditions usually leads to a violation of probation hearing, which can lead to being taken into custody and/or the imposition of harsher probationary conditions. On top of what the Judge can do, there are some criminal convictions that have separate penalties that are dictated by Michigan and/or Federal law, which include: loss and/or restrictions by the Michigan Secretary of State to your ability to lawfully drive a car (DWI, OWI, Driving While License Suspended, etc. ); loss of hunting and fishing rights (certain DNR offenses); loss of ability to work in a hospital setting caring for patients (various assaultive, drug, and theft related crimes); ability to lawfully posses and/or purchase firearms (domestic violence, stalking), etc. For persons who are not United States citizens always hire an experienced immigration lawyer because of potential US immigration law consequences, which may lead to deportation proceedings, deportation, inadmissibility (inability to lawfully return to the United States if you ever leave), immigration detention, and the inability to seek certain forms of waivers and immigration relief. With 2 potential exceptions, all Michigan misdemeanor offenses require the Defendant's appearance in front of a Judge or magistrate at the District Court to address the charges levied. One of the exceptions is a "plea by mail" (for persons that are incarcerated in another jurisdiction, who sometimes have the ability to resolve the case by sending a signed and completed plea form to the Court). The other potential exception are offenses termed "payable misdemeanors" (offenses that do not require going to Court if full payment of the fine is timely paid). The first misdemeanor Court appearance in Troy at the 52/4 District Court and other Michigan District Courts, is called an arraignment, which is a hearing before a magistrate or Judge where you are read the charge(s) against you, advised of the possible penalty the charge(s) carries, and a bond amount is set. Generally, bond is decided by the arraigning Judge or magistrate after giving consideration as to whether or not you will pose any risk of danger to the community and whether or not you will likely appear for all future court dates. In addition to posting a cash amount, the Judge can place very restrictive, burdensome conditions on your bond that are similar to being on probation (drug testing, alcohol testing, tether, no contact, report to pretrial services, etc.). If you do not comply with the bond the Judge can place you in jail. If facing a Judge in Troy Michigan your best option is to immediately hire a trusted local attorney as early as possible to advise and help you formulate a defense plan. Your legal representative, in many instances, is even able to "waive the arraignment" on your behalf, which allows you to proceed directly to a pretrial. the United States Constitutional rights (presumed innocent of the alleged crime, prosecution has burden of proof of beyond a reasonable doubt, jury trial, right to cross examine all witnesses against you, right to subpoena witnesses to testify for you, right to remain silent, right to testify, appellate rights). You and your lawyer have options when it comes to Court: you can demand a trial; you can try and work out a plea agreement; you can try to obtain additional time to gather more information about your case and file motions to contest legal issues. If a conviction occurs because of a verdict reached at your trial or because you decided to resolve the matter by tendering a guilty or no contest plea, it is up to the Court to decide upon your sentence, after listening to the comments made by you and your lawyer. The value of your defense coincides with the litigation ability and legal acumen of your lawyer, because your defense is only as strong as its weakest link. You can take a big gamble with court appointed counsel that you will meet in Court for the very first time (if you are indigent and truly feel that a public defender is your only option to offer a defense) or choose to hire a lawyer who has the time and desire to prepare your defense. Does my Troy misdemeanor legal representation make payment arrangements to help me afford the lawyer's services, or accept credit card and debit card payments?. When it comes to selecting Daniel Hilf as your misdemeanor defense attorney, the answer to all of these questions is an emphatic "yes". Trustworthiness, legal acumen, responsiveness, zealousness, diligence, being on top of his game, client loyalty, and years of experience are descriptive terms that apply to criminal defense attorney Daniel Hilf. Attorney Daniel Hilf will give you a local advantage, because his office is located approximately half a mile from the Troy District Court at 1775 W. Big Beaver Road.